It’s officially the holiday season. That means people are decorating, celebrating, and giving to others. It’s a wonderful time of year and, by far, one of the most colorful and engaging. There are no other holiday seasons where people do things like this. It’s a mostly external holiday. There is only so much your Android device can do. However, we have a list of excellent Christmas apps that should help this holiday season! We also recommend Pinterest and Facebook. They’ll have a bunch of gift and decoration ideas! Here are some more apps you might find helpful during Christmas! Christmas means a lot of traveling, going out shopping, and other outside activities. Knowing the weather is essentially important around this time of year. 1Weather is about as good as it gets. It shows the current conditions, a ten day forecast, and a 12-week forecast. The app also includes a radar, sun rise and set times, and more. It also includes multiple locations. That should cover just about every use case that we can think of. It's also relatively inexpensive. The free version comes with all of the features. It's not a bad way to go as long as you don't mind ads on the free version. Christmas Countdown 2018 is an app with a Christmas countdown timer. It's configurable with a bunch of little options along with several actual backgrounds. You can make it look basically how you want. It counts down the time until Christmas and that's its main function. However, it also plays Christmas music, provides ideas for Christmas gifts, and it even gifts you a holiday wallpaper that you get to keep. The premium version includes two countdown widgets for your home screen, more customization options, and more Christmas music. There are no ads in any version of this app and the developers usually do good to update it every year. Google's Santa Tracker app is easily one of the best Christmas apps. It's at least better than the other Santa Tracker apps in the Play Store (sorry NORAD). The app includes several fun little games and activities for kids. That includes Google Cardboard VR support, Android Wear support, and a countdown timer. It then follows Santa's path around the world on December 24th. The app is completely free with no advertisements or anything like that. It's one of the best Christmas apps for kids too! The 2018 version of this app launches in early December, so the button above takes you to the official website for now. iHeartRadio is definitely among the best Christmas apps for music. It features a variety of holiday-themed radio stations that include new hits, old classics, and mixtures of the two. The app is also entirely free as long as you don't mind commercials. Other music streaming services like Apple Music, Spotify, Google Play Music, Pandora, etc all have Christmas playlists as well. However, iHeartRadio is the easiest to fire and forget. It's also the easiest for people who don't generally use music streaming service already. Just open the app, search for Christmas, and find the station you like. Done. 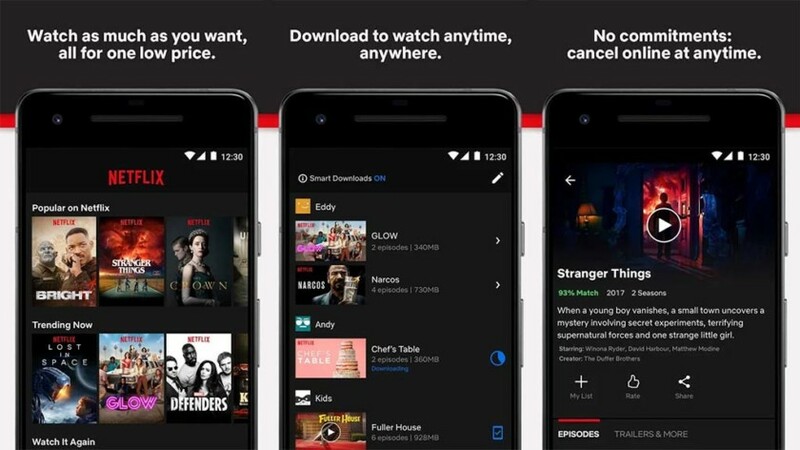 Netflix is one of the best Christmas apps for video streaming. It includes a variety of classics like White Christmas, The Santa Clause Trilogy, How the Grinch Stole Christmas (2000 version), A Very Murray Christmas, and even some adult Christmas movies like Bad Santa. Netflix also has several Yule Log burning videos. A few of them are even in 4K. It's a great way to bring a classic into the 21st century. Since most already have Netflix, it's just a matter of searching for this stuff in the app to find it. Hulu and other streaming services also have Christmas content. Need some more Christmas ideas? Try these! 10 best craft apps and crafting apps for Android! Private Notepad is a perfect tool for Christmas. It's a note taking app with a password. It uses passwords, PINs, patterns, and even your fingerprint if your phone has a fingerprint reader. You can keep your Christmas shopping lists there along with ideas, secret santa info, and other stuff that you may not want your family or friends to accidentally find. It also has a dark theme and we know how much people like dark themes. There are many like it, but this one works just fine for most Christmas level secret keeping. TickTick is a to-do list app. Christmas is a busy time of year. Apps like TickTick can make it easier to keep track of things. The app lets you add tasks, organize tasks into various lists, and even share tasks with other people with TickTick. It's great for Christmas gift lists, remembering to buy the right food, and remembering to pack for that trip to the in-laws. The free version includes all of the relevant features. The pro version is optional and really only necessary for business class use. We doubt you'll need the pro version. Many people theme their devices for the holiday season. Apps like Wallpapers HD are helpful for that. The app contains a selection of wallpapers for most screen sizes, including the 18:9 aspect ratio of newer devices. There are usually holiday inspired wallpapers drifting around during holidays. That should make it easy to find good ones for your device. We include this one on almost every holiday list because it's that easy to use. It's also free with advertising. The ads aren't that bad, but they are a little annoying. Zedge is probably the best notification and ringtone app on Google Play. It has a ton of tones, sounds, ringtones, and other stuff. Of course, that includes stuff for Christmas, Thanksgiving, and other holidays. The ringtones and notification tones are usually fairly high quality. You can find all kinds of stuff here. The app also features wallpapers. However, their resolution and quality are highly inconsistent. We recommend a different app for wallpapers. However, this one is probably the best for holiday themed ringtones and notification tones. 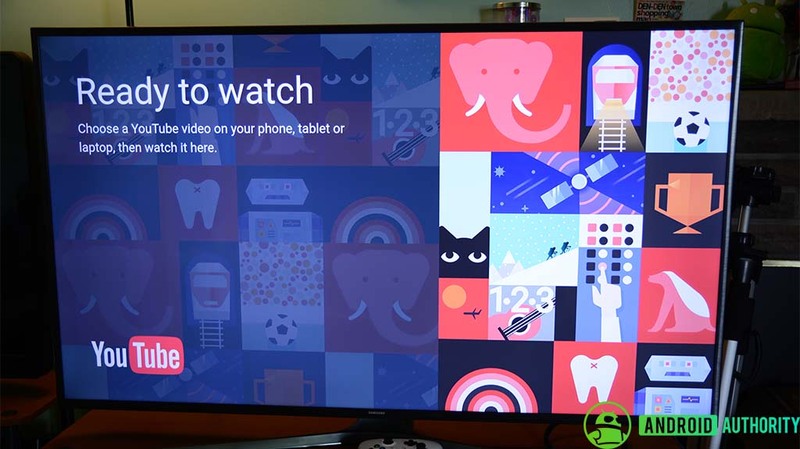 Live TV apps are quite popular these days and you have a few options. PlayStation Vue, YouTube TV, Hulu, Sling TV, and DirecTV Now are the biggest options. 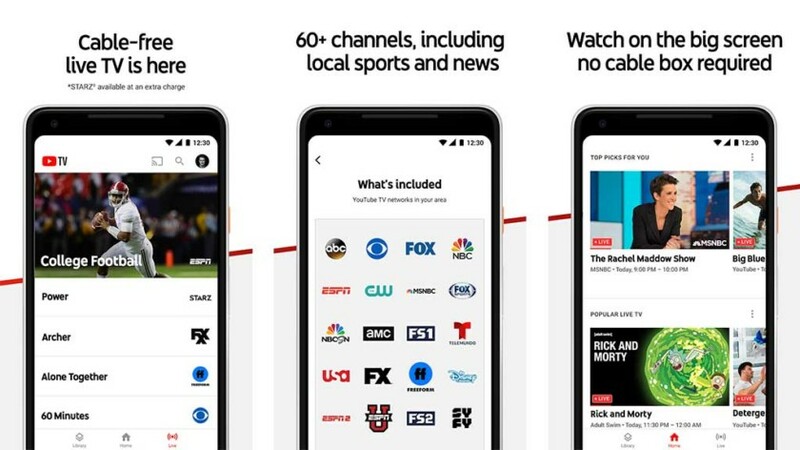 These services give you access to cable television in an app instead of a cable box. Thus, you can catch all of the yearly specials from shows you watch, and all of the Christmas themed content that comes in every year around this time. The prices vary, but most of them are good enough to replace your actual cable TV if you don't mind picking up something like a Chromecast. Some of the busiest Christmas apps are shopping apps. Literally all of them are going to have a variety of sales, special events, special offers, and various other bric-a-brac. Those shopping for others or themselves can find all kinds of good offers on stuff they've probably been looking at all year. Many brick-and-mortar stores offer same day pickup on online purchases. Online shopping is as stable as it's ever been. Now is a great time to start your Christmas shopping. Thank you for reading! Here are some final app lists that might help too! If we missed any great Christmas apps, tell us about them in the comments! You can also click here to check out our latest Android app and game lists!